This was my GT Radial S15 leaving the F1 Building in Singapore, the last time I drove the car. And now, I am very happy to say that it has returned home! It’s been a long and anxious wait, but due to my event schedule and a little help from mother nature, we haven’t missed any rounds while the car was not here. 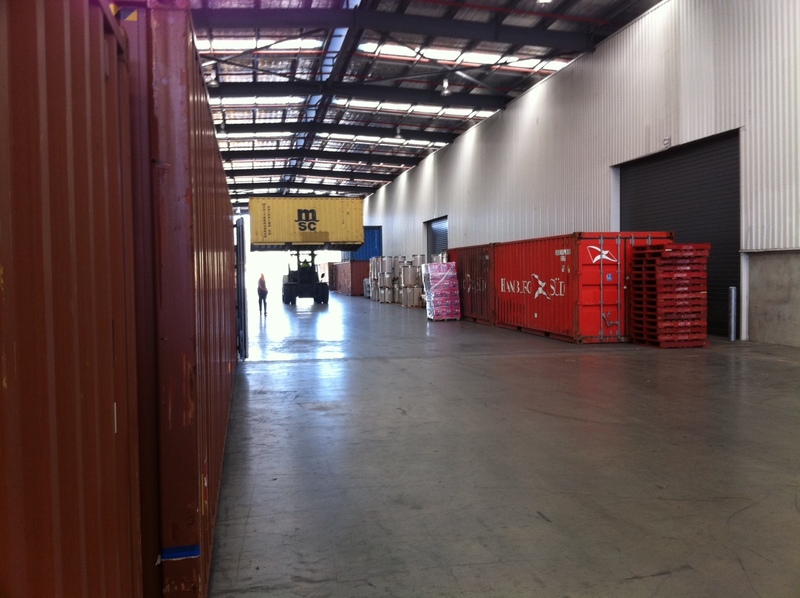 It was exciting to see the container after such a long wait. IT’S BACK! 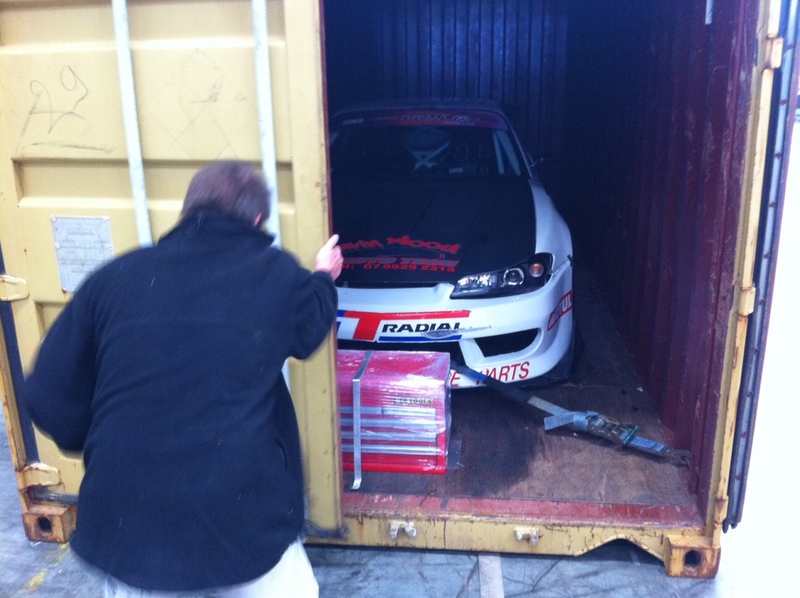 And it was great to see the car in there in one piece after a long trip, just like we left it. The team at the unloading helped me pull it out, and then tried to convince me it would be a good idea to do a drift demonstration for them through their warehouse. I agreed it would be a lot of fun, but sadly I declined their offer. I did need to fire it up to move it out and up on to the trailer, and it started first time. That was another releif! The return of this awesome machine was just in the nick of time. This weekend (after a quick check-up at Gavin Wood Autotech), I will be competing in the double header at Queensland Raceway on Sunday. First up in the morning will be the rained out Pro Tour Round 4, and then in the afternoon we will battle it out to see who will be the 2011 King of Drift! 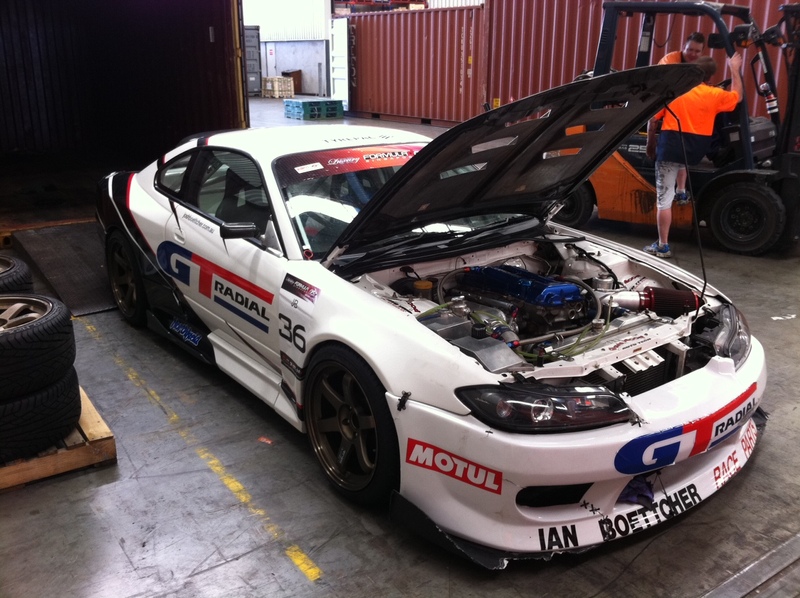 It will be a great chance to stretch the legs of the S15 before another huge event next weekend at Eastern Creek Raceway down in Sydney, the Tectaloy International Drift Challenge! I will have more on this event soon, it’s set to be the biggest stand alone drift event ever held in Australia! 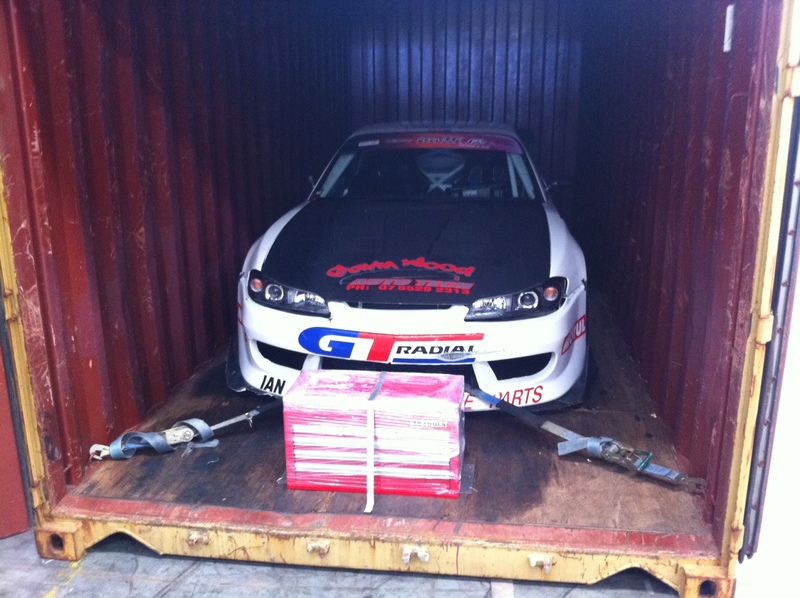 Thanks again to GT Radial for an awesome experience in Singapore! I learnt a huge amount, and now I’m super excited to get back on the track here in Australia!